Основна мета діяльності Наукового товариства – всебічне сприяння науковій, винахідницькій та іншій творчій діяльності студентів і молодих учених. Проводимо наукові заходи: круглі столи, конференції, семінари, вебінари, інтелектуальні конкурси. Популяризуємо науку серед молоді. Саме тут народжуються і втілюються в життя ідеї про співпрацю наукового товариства з іншими спільнотами талановитих науковців та межі інтеграції. 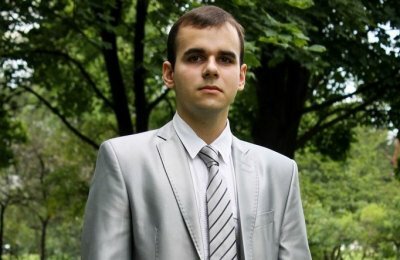 Працюємо, підтримуємо та надихаємо на наукові пошуки та розробки молодих вчених - студентів різних факультетів. Інформуємо про наукову діяльність університету, подаємо статті до інформаційних видань університету про наші проекти. Читай наш науковий журнал "Vivat Academia!" Шукаємо, пропонуємо та втілюємо інноваційні рішення щодо проведення та розвитку наукової діяльності студентів та аспірантів нашого університету та представників інших вузів. 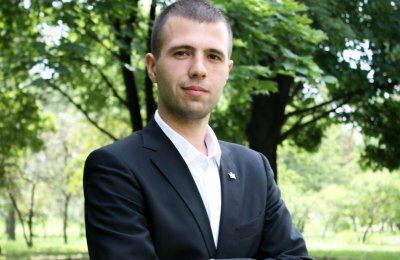 Створюємо та розвиваємо міжнародні міжвузівські зв'язки. Хочеш поїхати закордон на стажування чи наукові конференції? Приєднуйся до нас чи залишай заявку на омріяний вуз чи країну. Post-graduate student of Finance Department of the Faculty of Finance and Banking. During the period of 2015-2018, he studied at the KNUTE for a Master Degree in Specialty. “Accounting and Audit” and “International Law”, received diplomas with distinction. Since 2017 he has been a post-graduate student of the Department of Finance. 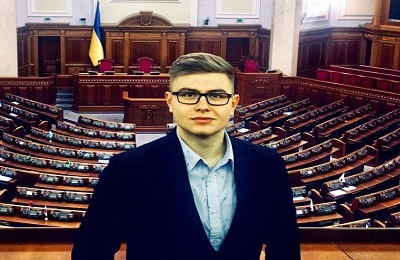 During his studies at the University, he was the deputy chairman of the Student Self-Government Department of the Faculty in the period from 2013 to 2014, he was a head of the student’s self-governance department during the 2014-2016 academic year. 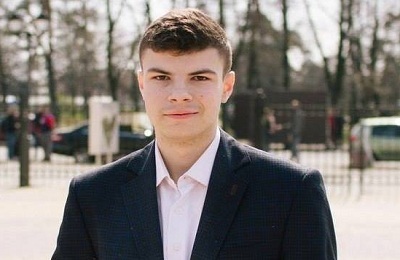 From the first days of study, he was actively involved in scientific activities with public work, and in 2016 received a diploma of the first degree at the Ukrainian competition of student’s scientific papers in the field of “Accounting, analysis and audit”. He is the author and co-author of more than 30 publications, which are presented in scientific-practical, professional and international publications. 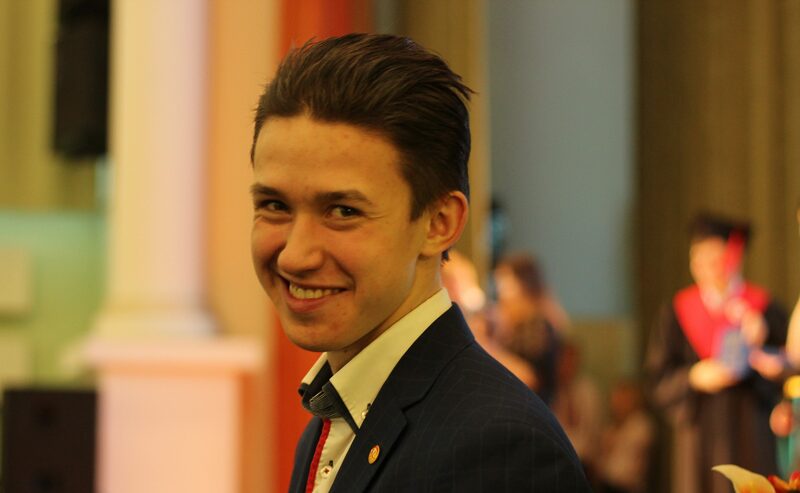 In 2015, he was one of the co-founders of the student research club “Controller-analyst”, which functioned at the Department of Financial Analysis and Audit. The Scientific Society of the KNUTE has been a part of the department since 2013, during the period of hiss stay he was a head of the department for work with young scientists , from 2015 – elected as the deputy chairman of the Society, and from June 2016 he has been a head of Scientific Society of KNUTE. The structure of the Scientific Society includes the first days of study at the University. Headed the Department of Science and Education at the Faculty, now headed the Department of Science and Education between the faculties. 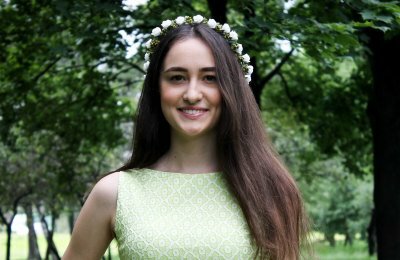 Included in TOP-100 best students, actively engaged in scientific work, published works, winner of the All-Ukrainian competition of student’s scientific papers in the field of Public Administration and Administration, a regular participant in scientific conferences and forums. The Student Scientific Business Club, which operates at the Faculty of Economics, Management and Psychology, is also headed. The Scientific Society of the KNUTE entered for 4 years, initially was an activist of the department for work with young scientists, was subsequently part of the information department, from 2016 to 2018 he was chairman of the secretariat of the Scientific Society. He is also the chairman of the Council of Student Self-government of the Faculty. Permanent participant of scientific events, organizer and co-organizer of scientific quests. Student of the Faculty of Economics, Management and Psychology of Specialty “Economics of Enterprise”. 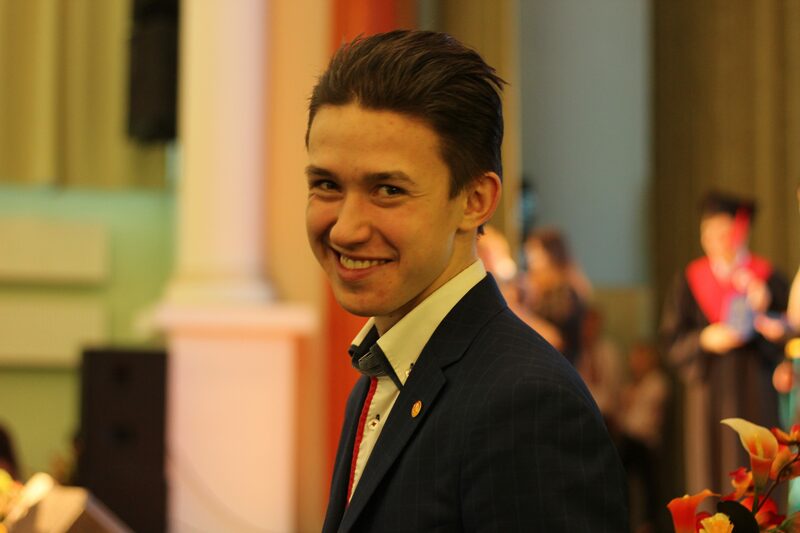 The head of the academic group, takes an active part in events in the middle of the university and beyond, including in conferences, both university and international. 5) support of integration processes in the field of scientific activity. Important attention is paid to innovative technologies, communication with domestic and foreign innovation structures, activation and commercialization of scientific activity of all structural subdivisions. The activities of the department of innovations are carried out in accordance with scientific-legal documents of the national level and in accordance with the internal order of the university. From the first days of study is a member of the law club. The second course was headed by the cultural and artistic sector of the club and was responsible for the preparation of concerts and various flash mobs. At the last, for the bachelor degree, the course became the President of the Legal Club. At the moment, being a student of the magistracy of his native FMTP, he heads the department of communication with young scientists. 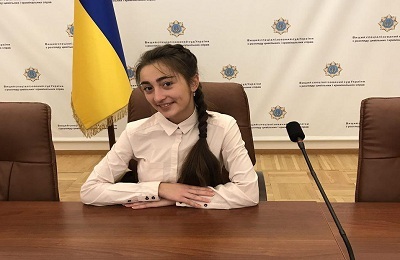 Regularly took part in various competitions and competitions, conferences, round tables, got on an internship to the Verkhovna Rada of Ukraine. The activities of the department for cooperation with RCC KNTUU and other organizations are multi-faceted and versatile. It is here that the idea of ​​cooperation of a scientific society with other communities of talented scholars and the limits of integration into them are realized. Qualitative events require both qualified participants and specialists who can share much of their interest with students. Also, the existence of a society without the support of the RCC as an university and individual faculties is impossible, therefore we try to actively cooperate with the named organizations. Of course, RCC is interested in fruitful cooperation with our community, so it also tries to maintain active feedback. In this case, the department acts as a connecting link. In addition, the department’s activities include co-ordinating links with other universities and facilitating the spread of its boundaries beyond the boundaries of the KNTEU and gaining meaningful status. Studied on the specialty “Computer Science”. Previously, he led the information sector of the faculty, and now is the coordinator of the department of science at the faculty.Startos of the academic group. 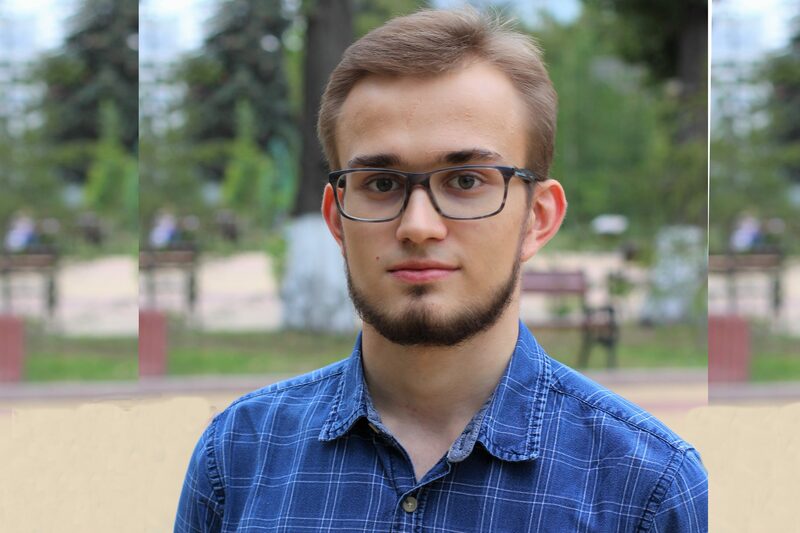 The founder and head of the directorate of the student philosophy club “Phoenix”. The founder and coordinator of the TOP-club. The founder of the scientific platform of the “MoveClubsGroup” faculty. The organizer and co-organizer of scientific quests and events, a regular participant in various conferences and roundtables. From the first semester of studying is one of the top 100 best university students. Winner of All-Ukrainian and All-Ukrainian conferences, participant in international conferences. Deputy Head of the Social Sector of the RCC of the Hostel No. 6. In the past, he was Deputy Chairman of the Scientific Sector of the Faculty of International Trade and Law and head of the 1 st year of the FMTP. Head of information-publishing Department, Chairman of SSC "Phoenix"
Student of the 4th year of the Faculty of Accounting Audit and Information Systems, specialty “Software Engineering”. 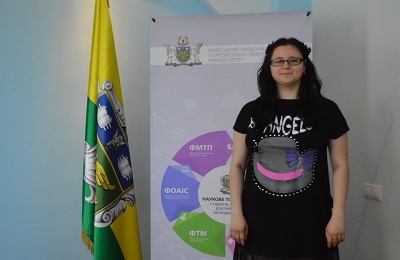 Participant in programming olympiads, the winner of university conferences. Studies on the specialty “Management of foreign economic activity” at the English program. 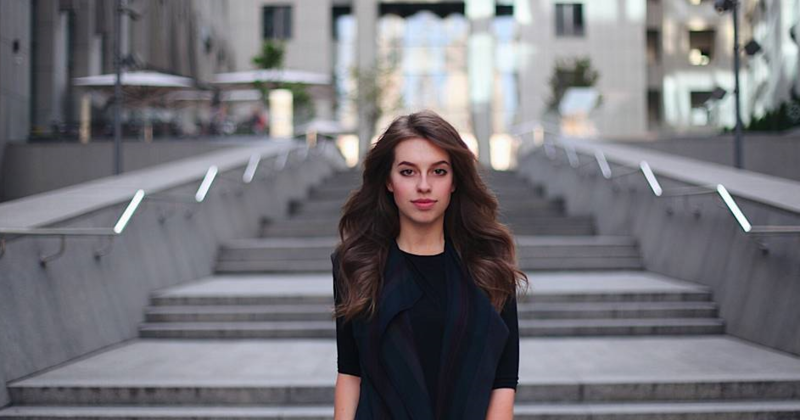 For several years already, she has been a participant of international summer schools, forums and conferences abroad. 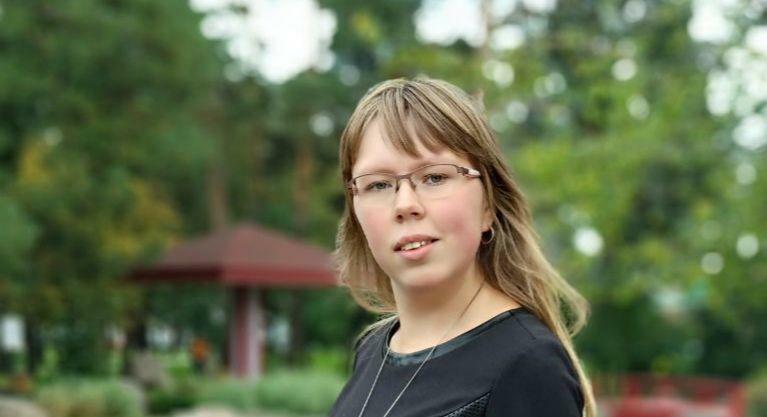 Since 2019 she has become a member of the Scientific Society of KNUTE and is the author of many articles in national and international scientific journals, as well as the magazine “Vivat Academia”. She always confidently and purposefully achieves her goal. She awarded a honorary diploma “Top 100” on the rating of students. She is confident “It’s harder to start acting, everything else depends only on perseverance”, so she always tries not to lose hope and move forward. The organizer and co-organizer of scientific quests and events, a regular participant in various conferences and roundtables. From the first semester of studying is one of the top 100 best university students. Winner of All-Ukrainian and All-Ukrainian conferences, participant in international conferences. Deputy Head of the Social Sector of the RCC of the Dornitory No. 6. In the past, he was Deputy Chairman of the Scientific Sector of the Faculty of International Trade and Law and head of the 1 st year of the FITL. 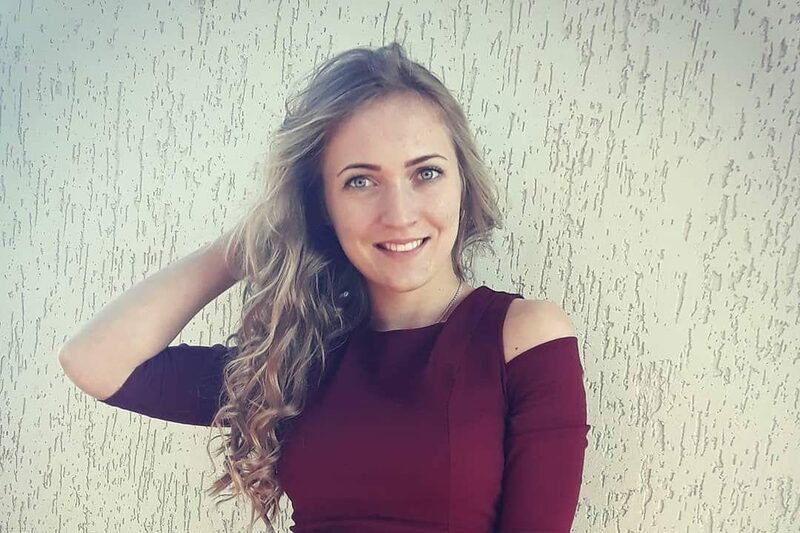 Vlada is a student of a Faculty of a Restaurant, Hotel and Tourism Business on a specialization Hotel and Restaurant business. Since the first grade has been a participant of scientific sector on her faculty. She was involved to organization of intellectual events and games such as “Competition of Faculties”. Also participated in different intellectual games. Since March 2019 she has been a Head of a FRHTB scientific sector. 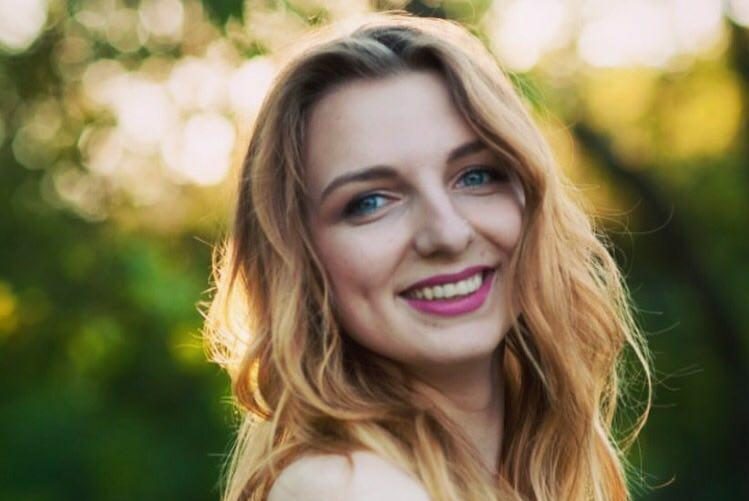 Her goals are to make a real community of interested in science students on the Faculty and give them an opportunity to develop themselves in this sphere. 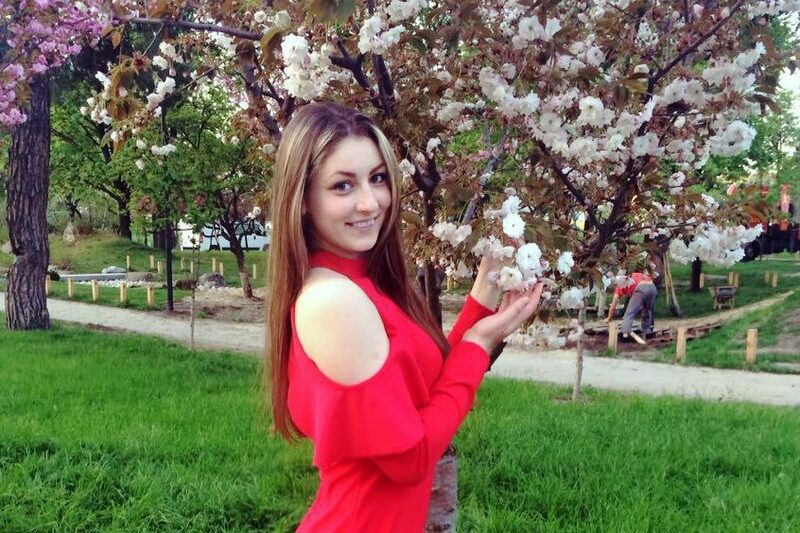 Also Vlada is an active participant and co- organizator of roundtables and conferences in KNUTE. Head of the Scientific Sector of the RSC FFBS. Member of the organizational sector of the RCC faculty. Previously, he served as Deputy Chairman of the Legal Sector at the Faculty, and now he heads the scientific sector of the FSMP. Constant participant in scientific conferences and intellectual events. From the first semester, is included in the list of 100 best university students. Exercitatio artem parit. Exercise continues skill. Organization and activization of the efforts of the students of KNUTE for research work, publication of the results in the materials of conferences and scientific journals (theses, articles). Preparation and conducting of events with the purpose of deepening and popularization of fundamental knowledge, development of critical thinking; mixed learning “blended learning”, “Chemistry of KNUTE” page in social networks. Bilingual education: preparation of English-language publications, English-language events (conferences, trainings, round tables, workshops, discussions, master classes). Professional orientation activity: cooperation with the college named after Sukhomlinsky and regional schools. 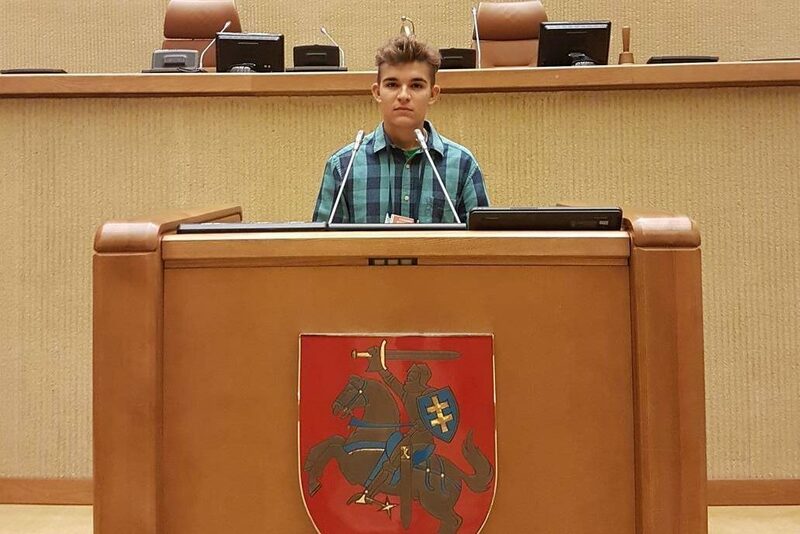 Chairman of SSC "Start in Science"
Member of the Scientific Sector of the FOAIS. A head of the choreography of the cult mass of FOAIS. Excellent training student. 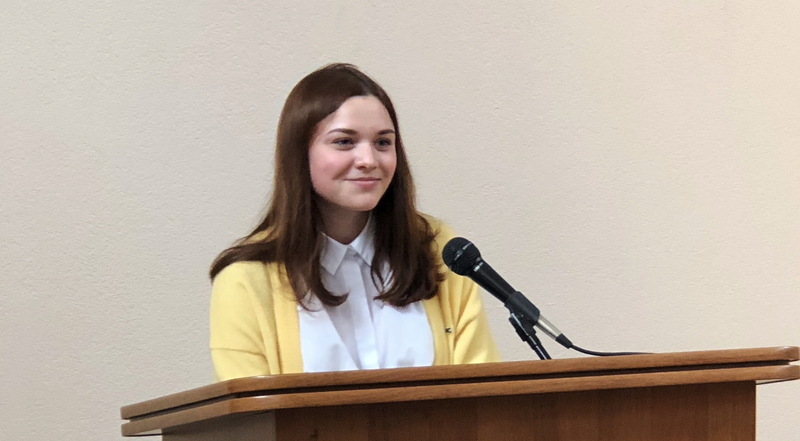 She was awarded with the honorary certificate “Top 100 KNUTE”, having taken the 18th place in 2018, among all university students. Coordinator of the scientific circle of the Department of Program Engineering and Cybersecurity. 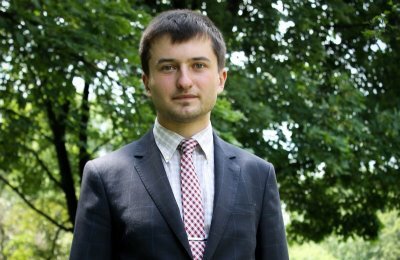 Chairman of SSC "H&SW Services"
Studied in the specialty “Accounting and taxation”. The head of the conference department of the scientific sector of the FOAIS. 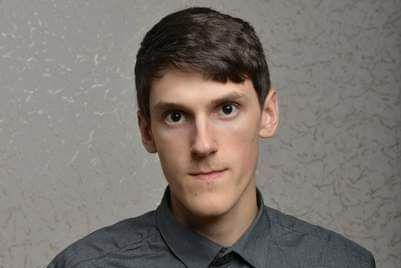 Coordinator of SNK “Luka Pacioli”. From the first days of study, he takes an active part in the public life of the university and shows excellent indicators in the study. Co-organizer and organizer of quests and round tables, regular participant in various conferences. Senior academic group. The vital credo: “whoever looks, he will always find”. 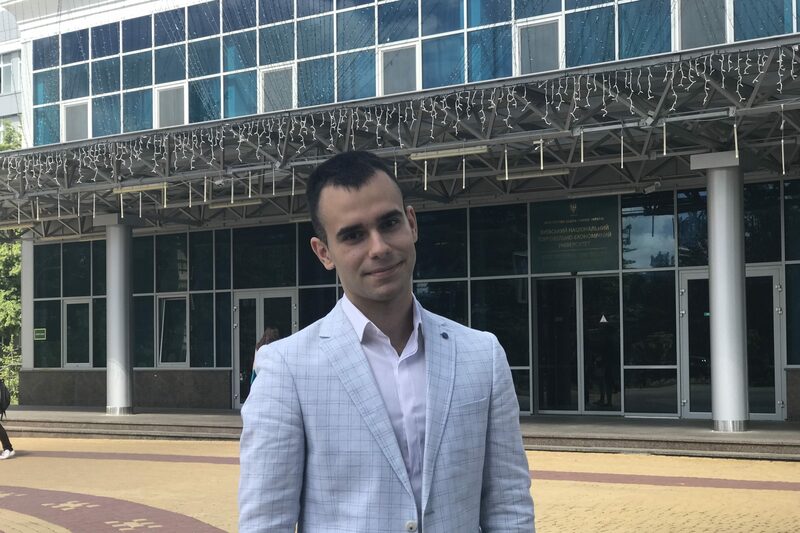 Chairman of SSC "Luka Pacholi"
Studied on a full-time form in the specialty “Accounting and taxation” and on correspondence – “Legal security of entrepreneurial activity”. Senior academic group. Included in TOP-100 best students. Has great success in learning. Persistently and systematically engaged in scientific work, has published works, winner of All-Ukrainian and general university conferences, olympiads, participant of international conferences. Has an active public position, responds responsibly to his duties, makes every effort to achieve maximum results. The student scientific club, which operates at the Department of Financial Analysis and Audit, is headed. The main purpose of the Audit Club is to uncover the creative potential of the students. 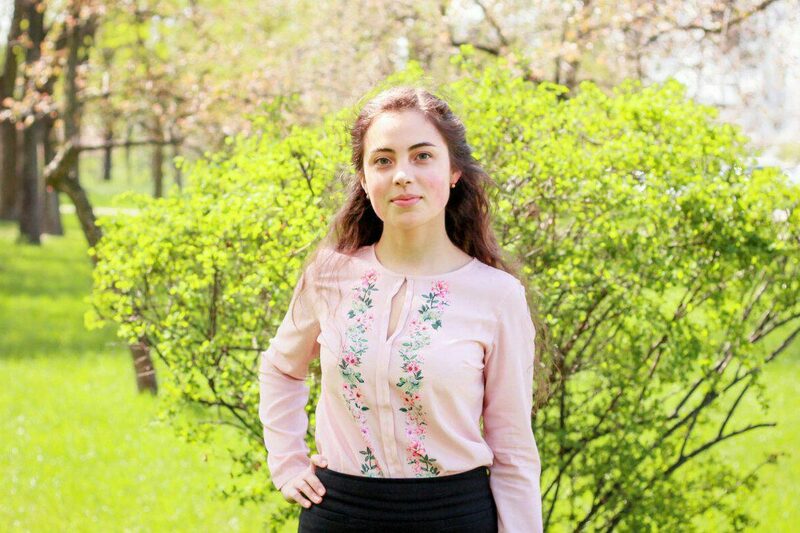 Student of specialty “System Analysis” (at the KNUTE) and a leader of the academic group №8. 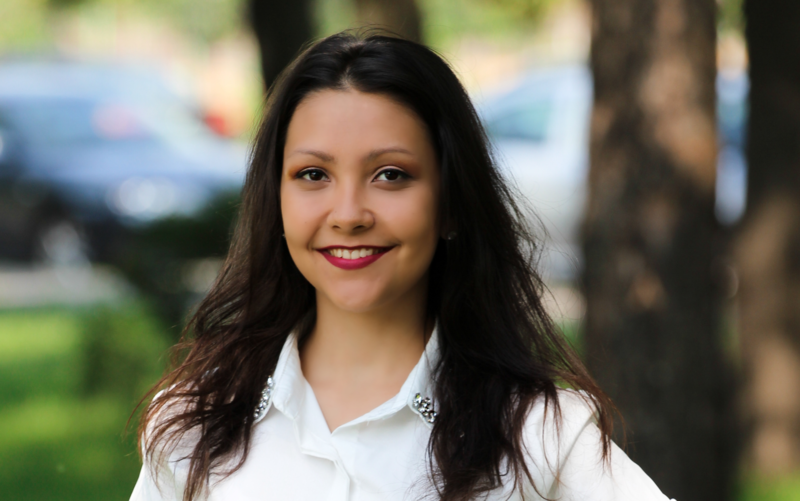 She was named curator of the academic group №10 in the Accounting, Auditing and Information Systems department in 2018. Elina has been Deputy Division Chief of Voluntary People’s Patrol in the department since 2017. She is an active member of the scientific sector in the Accounting, Auditing and Information Systems department. 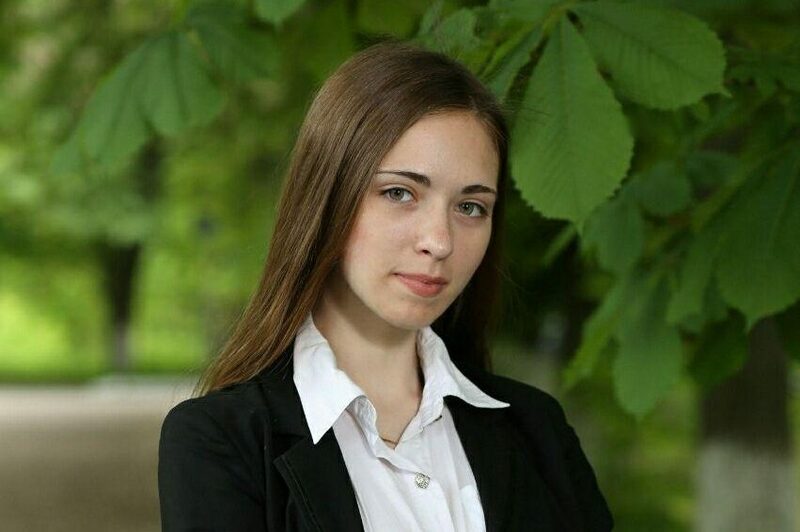 Elina takes her responsibilities very seriously, has an active and stable social position, is a donor and volunteer, author of articles in the magazine “Vivat Academia”, Prize winner of conferences and contests. She has made a lot of progress and continues to make every effort to overcome obstacles and achieve the best results. Her professional and personal qualities have been much appreciated by students and teachers of university. 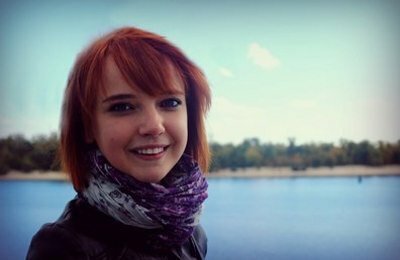 Her easygoing and pleasant personality has won her many friends among her group-mates and other students at the university. Being able to handle conflict situations gracefully, she remains optimistic, polite and tactful in her attitude towards the people around. Elina has been awarded with “Топ 100” Honorary Certificate on the rating of students’activity. Her extracurricular activities include the Student Scientific Club “SapLab”, she is a Coordinator. She is sure that “Who owns the information, he owns the world” and thinks that students understand the value of data visualization and can combine their knowledge in Data Science area. “We give inspiration to key achievements and challenges”. “We find new approaches to transforming outdated scientific processes”. Joined the KNUTE in 2016 at the faculty of international trade and law, in the direction of preparation “Civil Law and Process”. From the first year takes permanent participation in scientific conferences and competitions. Combines education with the public work of the faculty and the university. Performs the duties of an floor headman in the dormitory. He is actively involved in writing abstracts and articles. Member of the Students government in Dormitory# 2 KNUTE since May 2018. He is an active participant and organizer of cultural events at the faculty and university level. Even the smallest pleasure given to us by nature is a mystery, incomprehensible to the mind. The organizer and co-organizer of scientific quests and events, a regular participant in various conferences and roundtables. In this case, Phoenix is synonymous with the word “prestige” (an allusion to the Harvard Student Club of the same name, which is considered to be the most prestigious in the world). It is aimed at the interest of the students of the department before joining and active work in the club. All students of the faculty and teachers of the department are allowed to work. Scientific supervisor is Professor Morozov A. Yu. For student diverse studies. For example, in the course of writing a scientific paper or article, you need to get some sociological data. The “Phoenix” Club will help you to conduct a survey, questionnaire, or other form of study of student youth at the university level. Thus, making the process easier to study, and work – more meaningful. Bring to the level of the permanent, annual contest “Literary Quest” (its first and second stages). Open lectures, lectures and discussions from the Department of Philosophy and Social Sciences and various invited guests, including members of the club. For example, who was actually Ernesto Che Guevara? The hero-revolutionary or the bureaucrat? “Philosophy of Views” project mini-lectures. They are devoted to disassembling the views, innovations, life and creative path of outstanding scholars-philosophers. That is, the meaning of the project – to disassemble the philosophy, first by periodization, and this same periodization is disassembled by the most prominent representatives and their works. Briefly, accessible and meaningful, and the main thing is interesting! Coordinator of SSC "Уouth for consumer rights"
Graduates in the specialty “Management of Foreign Economic Activity”. Senior academic group. An active participant in the cultural and artistic life of the home faculty and the university in general. Permanent participant in student scientific conferences and other intellectual activities. FRHTB TRAVEL GROUP is an association of young and active students who have their dream and purpose, and they all combine their desire to travel. For the duration of our team’s stay in the club’s main positions, namely 3 months, we updated the name, logo, structure, and further development plans. 1.Polarization of the club and the creation of centers among the branches of KNTEU all over Ukraine. Involve more people in the life of the club. Launching awards and awards to celebrate productive work and contribute to the development of tourism and the club as a whole. Coordinator of SSC "Wice of generation"
At the moment, the head of the social sector is FFBS. Works closely with the organizational and scientific sectors of the FFBS and other faculties. Participated in various intellectual games. I try to contribute to the development of science at our university. 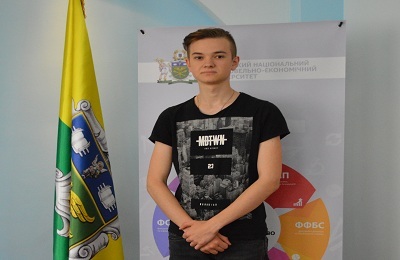 Activist of student self-government of faculty and university. From the first semester of study is included in the honorary list of “Top 100 KNTEU”. Coordinator of department of FTM's science; Chairman of SSC "Marketing"
Lawyer of Public Organization “New Mi”. The law club is an association of law students of all courses aimed at organizing both scientific and cultural events. We share our achievements, professional experience, help solve problems, spend time fun, motivate each other and move together to make student life as useful and exciting as possible for all students in general and for each individual. Each member of our club is an integral part of it, without which our Legal Club will not be able to function fully. The main idea of ​​our club is to realize the ability of each to reveal its full potential and develop all the qualities of its personality! The law club organizes a large number of scientific events that promote the legal culture of law students and a better understanding of the future profession. The law club holds a large number of conferences, scientific workshops and participates in open lectures on legal issues. 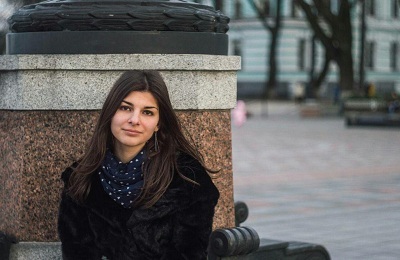 Lyudmila Boyko joined the KNUTE in 2016 at the Faculty of Economics, Management and Psychology, in the direction of preparation “Public Administration and Admission”. From the first year of permanent participation in scientific conferences and competitions. Became the winner in Ukrainian Olympiads and competitions. The training combines with the public work of the faculty and the university. Succally perform duties of the proforge of the academic group. He is actively engaged in career-oriented activities. Became part of the sector of science and education of the RCC FEMP during 2016-2017. In 2017-2018 he was a part of the intellectual projects sector. 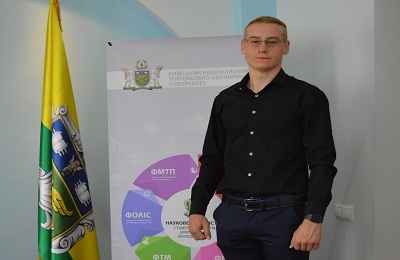 The winner of the Ukrainian competition for the defense of scientific works in the direction “Public administration and administration”. In April 2018, according to the results of the RCC elections, FEMP became the head of the sector of intellectual projects. Since June 2018 is a part of the Scientific Society of students, postgraduates, doctoral students and young scientists KNUTE. He is an active participant And organizer of cultural events at the faculty and university level. Enter the Top 100 Best Students of KNUTE. 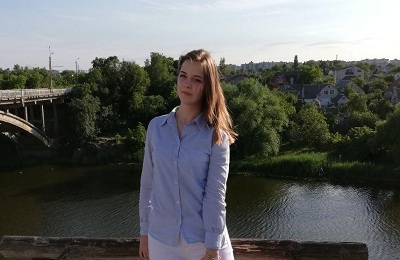 Coordinator of SSC "union of artists of KNUTE"
Our club collects people who strive to constantly improve forms and methods of teaching, use the latest methods of work in classrooms with the most advanced equipment. Students study the unique experience of domestic and foreign experts in the field of restaurant management in cooperation with the club of cooks. Traditionally, students and teatures of the faculty of the restaurant-hotel and tourist business department take part in the filming of the television program “Territory of fraud” on the TV channel “1 + 1”, “Morning with I + I”. 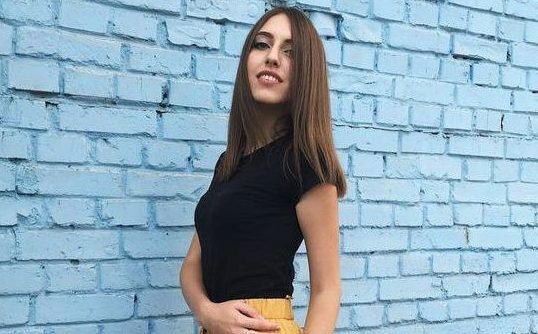 Наукове товариство студентів, аспірантів, докторантів та молодих вчених КНТЕУ— наукова молодіжна самоврядна організація, що сприяє розвитку науки та виникненню інтересу до наукової роботи в молодіжному середовищі Університету.